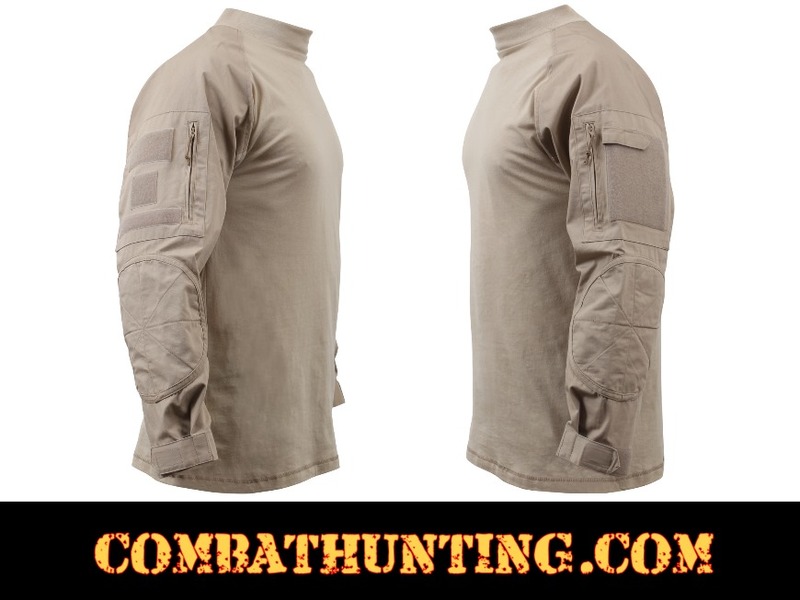 The Desert Sand Military FR NYCO Combat Shirt Are Made For Comfort, But Worn For Protection. 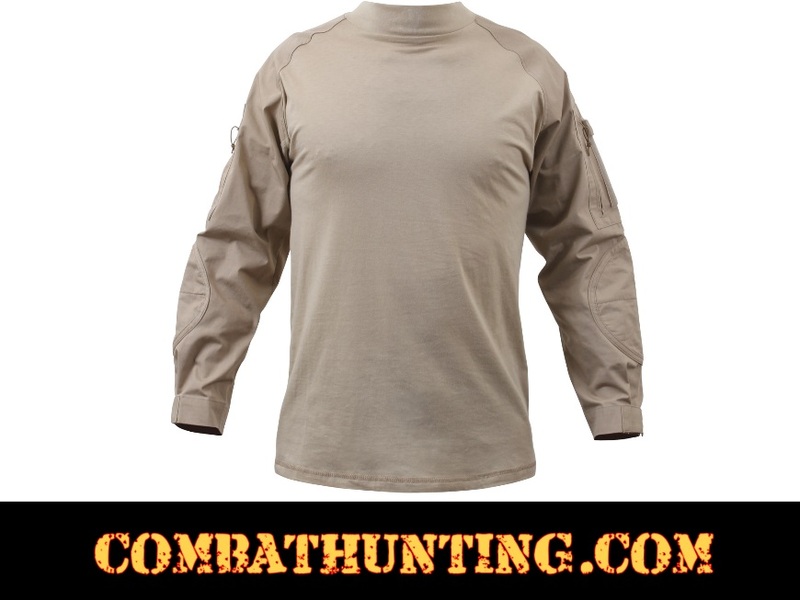 The Combat Shirt Is Perfect For Military And Tactical Personnel In The Field To Wear Under Hot, Heavy Body Armor And Tactical Vests. This Combat Shirt Is Made Of A No Melt, Drip Resistant Fabric To Withstand Heat Up To 230 Degrees Fahrenheit. The Shirt Has Been Designed With A Lightweight And Breathable Fabric Will Wick Moisture Away, While Keeping You Dry. Zippered Sleeve Storage Pockets, Mock Turtle Neck, Anti-Abrasion Padded Elbow Patches, Gusseted Sleeves, Glint Tape Holder For Tape, Loop Field On Sleeve Pockets For Attaching Name, Rank & Flag Patches.